Be the first to hear about their new releases and deals. Download the Booksprout app and search for Dixie Maria Carlton today! Dixie Maria Carlton has been writing business books for herself and assisting dozens of authors worldwide to create, publish, and promote their books since 2006. 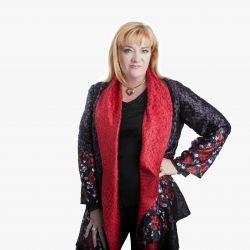 She is an award winning business person and author, with clients who have also become multi award winners under her guidance to help their own brands and/or stories become highly recognised. Dixie's NON-FICTION titles are mostly business and marketing based, including 'From Idea to Author-ity', 'Branding, Marketing & Advertising 101 for SME's'. Her books feature the kind of the information Dixie is highly sought after for by clients wanting to improve their branding, story-telling ability as part of their marketing, and to become 'famous' to their markets. Authors who want to write non-fiction books, and SME's who want to get better at marketing their expertise.